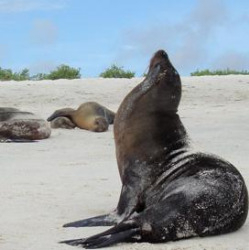 This extension to your trip to Galapagos, on a luxury cruise onboard the Petrel catamaran, allows you to see in 5 days the essential of the archipelago fauna, surrounding Santa Cruz main island. Confort and Nature for a sweet navigation in this paradise. At the airport, after paying the Galapagos Migratory Card (20 US $ / person) and checking your luggage (20 kg maximum in hold per person) on the mainland, you can check in and board for a flight About 3 hours. Arrival at the airport of Baltra, located on a small island next to that of Santa Cruz. Santa Cruz is the second largest island in the Galapagos, and the most populous in the archipelago. 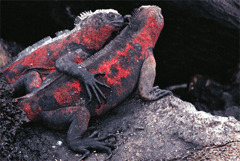 You will then pay the Galapagos National Park entrance fee ($ 100 per person) before you collect your luggage. PM : Here at the Highlands, you can walk along a path, observing the hills, ferns, volcanoes, and rich wildlife. 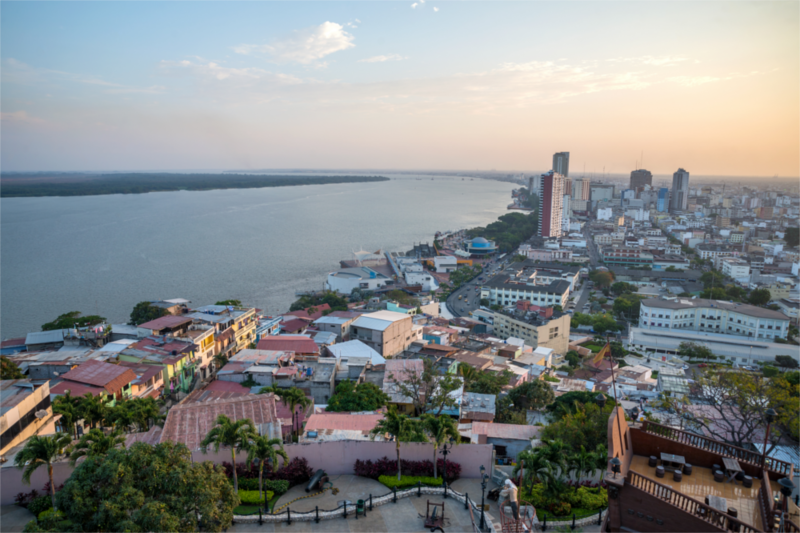 This area is home to giant tortoises, forest, mockingbirds, Bahama ducklings, White-cheeked Pintail ducklings, Darwin finches, and many other species. AM : Located southeast of Santiago Island, Sullivan Bay is of great geological interest. The area is covered by Pahoehoe lava flows combined with A’A lava. It was very active 200 years ago. This flow is geologically very young. The magma formed is flat, but the movement of underground lava, the rapid cooling and other eruptions led to the break in many places. Highlights: Pahoehoe lava flows, which have hardened in accordion like formation. Small glass-like bubbles of lava can be found, called "hornitos". Swimming with sea lions and other wildlife from the shore is a lovely way to finish off the tour. PM : Bartolomé Island can be identified by the famous Pinnacle Rock. Bartholomé is an extinct volcano that offers a variety of volcanic formations of red color, orange, and green. You will take a path with stairs to the top of the volcano, where you will have one of the best views of the island. 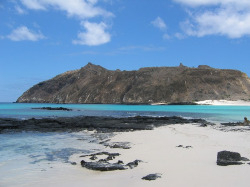 Likewise you will visit a beautiful beach where you can snorkel and see the Galapagos penguins. GENOVESA (RAVINE - BAY DARWIN) AM : You will take the path called the steps of Prince Philip , this steep and rocky trail will take you to a cliff of 25 meters. Having appreciated the view you will have the opportunity to do a walk through a forest of Palo Santo. 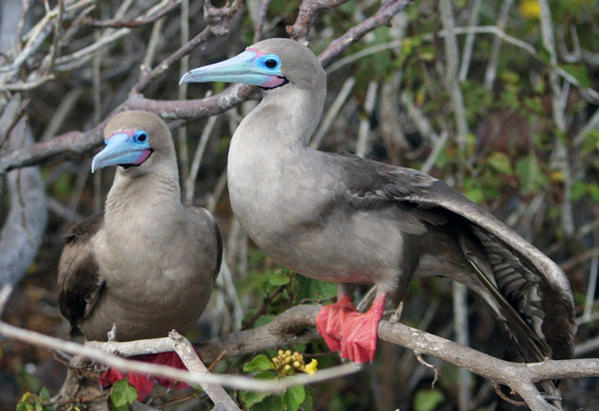 You will be impressed with the amount of birds that can be found on the site, red-footed boobies, owls, etc.. PM : In the afternoon you will reach Darwin Bay. This white sandy beach has a path around the mangrove 3/4km. In the distance you can see sea lions playing in the pools of salt water. You will go then to a cliff and have a breathtaking view. SANTIAGO (Egas, Espumilla) AM: port Egas offers a very original volcanic landscape with its numerous small cones of scorias and tuffs dominated by a central volcano covered with vegetation. Puerto Egas (James Bay) is on the West of Santiago and was the center of a small exploitation of salt during the 50s. The ascent of the crater of the salt mine or that of the Piece of Azúcar allows to observe finches, flycatchers, doves of the Galápagos and the cormorants. It' is frequent also to see the buzzard of the Galápagos. On the bank, in the Bay James in low tide we find oystercatchers, and the lizards of lava, the marine iguanas, crabs and sea lions play in the submarine caves dug by the sea. We also observe there fur seals, rarer than the others. PM : You will go to Espumilla Beach and observe the marine iguanas, crabs of Galapgos and you will snorkel with the tropical fishes. Then, you will discover the Bucanner Cove where you will observe a lot of birds in the cliff. Santa Cruz - Carrion Point: A lagoon with beautiful turquoise water where you can see a variety of fish, rays and white-tip reef sharks. Your cruise will end with this tour. Indeed, after your transfer by bus at the airport, you will take the plane of return for the continent.